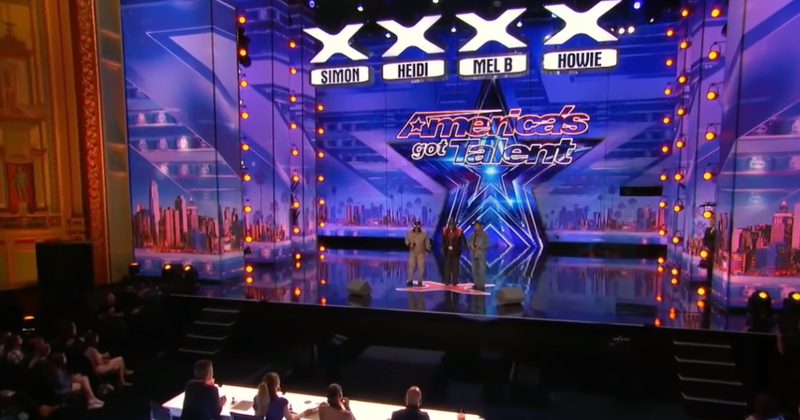 America’s Got Talent’s recently featured a trio called “The Masqueraders.” This particular trio has been together for 50 years and has stuck together in hopes of one day fulfilling a dream. The three friends have actually been performing together for more than 50 years—in fact, in 1968, they had an original song, “I Ain’t Got To Love Nobody Else,” reach no. 57 on the Hot 100, according to Billboard. They began their career in high school singing in talent shows and at various activities, as well as local churches. Then they started their professional musical journey in the late 1950s as a five-man vocal sensation from Dallas and have been blessed to survive the ups and downs of the music industry. When the dust of their tumultuous musical career settled, three of the original members were still standing: Sammy “The Bull Rider” Hutchins, Harold “Sundance” Thomas and Robert “Tex” Wrightsil. “The Masqueraders” told the judges that they had a hit song, but it never went anywhere and that they would be performing that song for them and the audience. The song was called “I Ain’t Got To Love Nobody Else,” and it was spectacular. The group themselves had PERFECT harmony and pitch. You feel the intensity of their voices with that old school soul sound when one of the singers, Sam, as Howie says “roars his voice”. The judges then take their votes, and “The Masqueraders” received four votes to move forward in the competition. The crowd went wild, and you could see that the trio feels like they have finally made it by the looks on their faces. Tyra Banks took the band behind the stage and did a short interview on how they felt about receiving four yeses to move on and the band said: “It’s a dream that has come true.” Look for these guys to do big things soon. We need to bring this sound back. It’s crazy to think that they’ve been at this for nearly 60 years, yet nobody really noticed. Well, I think they will now. I’m so happy they never stopped dreaming because this is wonderful.